It may only be the 1st day of the holidays but I am sure you are already thinking about the cost of next terms new school uniform, shoes, P.E kit and the 3 million other things kids need for school these days. On top of that If like me your child is off to a play scheme while you carry on with your normal working week then I bet you have stocked up on extra t-shirts, socks & jackets to see them through the next 6 weeks. While spending all this additional money you want to make sure all these items don’t get lost or end up in another child bag by accident so labelling is vitally important. By now you will know I am not a domestic goddess and I am always looking for the easiest option to get the job done, so when the lovely people at Bordeaux-based Petit-Fernand contacted me and asked if would like to try out their stick on full personalised clothing & shoe labels I knew it was going to be a match made in Heaven. 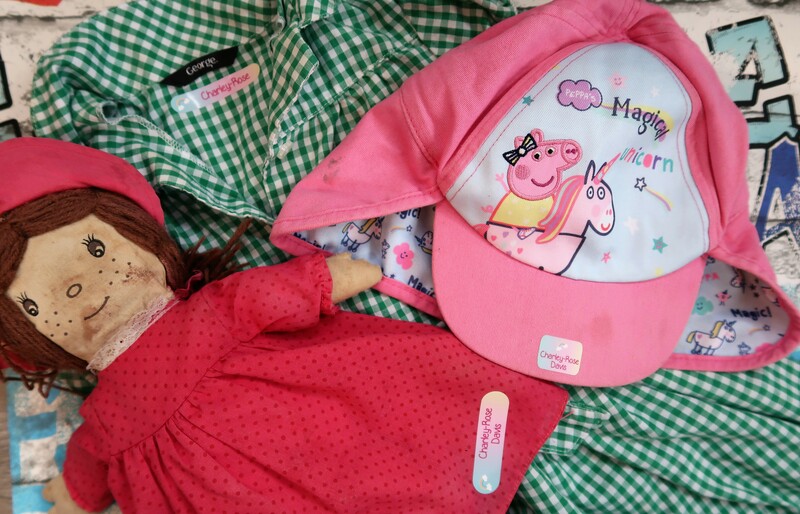 With Charley now at nursery and still requiring an emergency change of clothes in her bag each day I have double trouble when it comes to keeping track of all the clothes that leave the house. The beauty of the Petit-Fernand stick-on labels is they take exactly 2 seconds to attach per item. Simply peel, stick onto the washing label and press down. It’s washing machine and tumble dryer resistant. Windcheaters, jackets, swimsuits, fleece, underwear… all garments can now be labelled. What if there’s no washing instruction tag on an item? Then Petit-Fernand has your back as they also offer iron-on labels that only take 12 seconds and can be applied to any fabric! 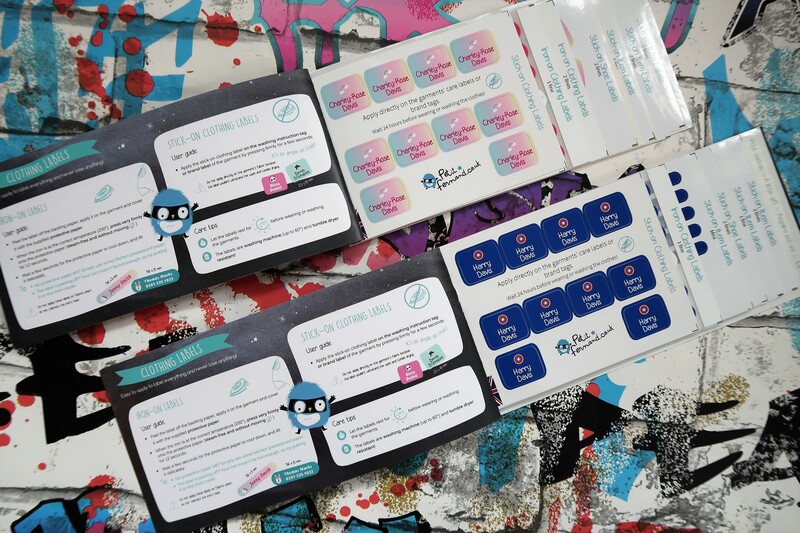 As I mentioned earlier the labels can be fully customised with a wide range of colours, fonts, backgrounds and illustrations, so instead of plain boring white one the kids can get involved and choose their own unique design. Even though Petit-Fernand is based in France both sets of labels were with me within 4 days of ordering and come in a handy booklet to keep all the labels safe. 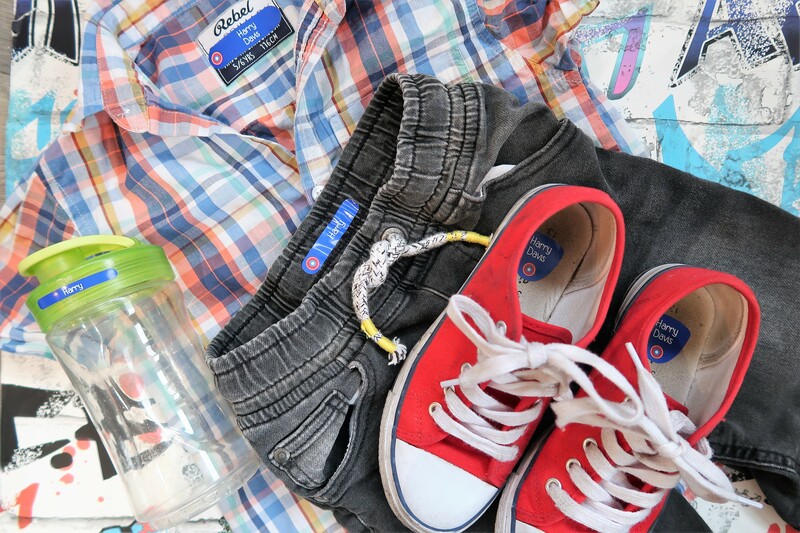 As well as clothes, the labels can be used on any smooth surface so school supplies, books, notebooks, pens, pencils, scissors, glue sticks, lunch boxes & water bottles can all be clearly labelled. As an FYI checkout Petit-Fernand selection of fully personalised mugs, bento boxes & water bottles on their website . 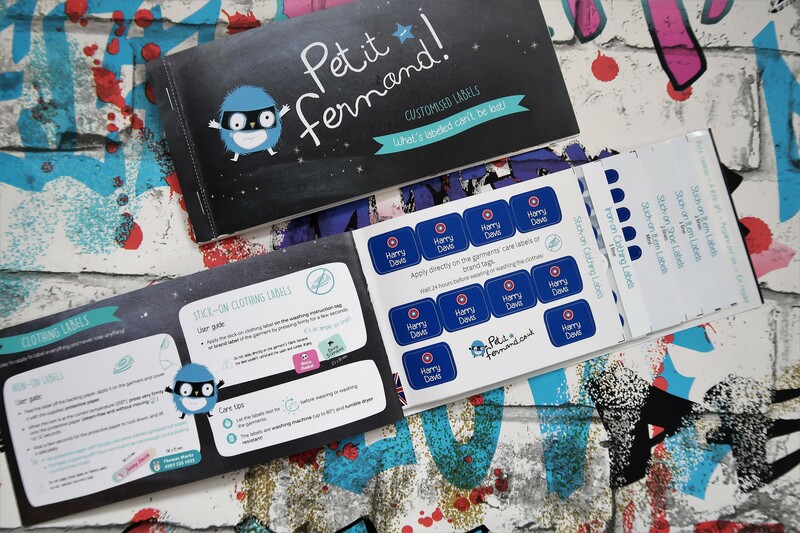 So if you want to take the stress out of labelling your child’s clothes invest in one of the Petit-Fernand packs and enjoy an extra hour catching up on Love Island with a cold glass of wine in your hand. *This post was in collaboration with Petit-Fernand but all my thoughts & opinions are my own. "1 Year Anniversary Of Quitting My Corporate Career"